Planning a photoshoot, capturing the shot and publishing the results are all components of photography. Having the ability to research, photograph and then share your work all with snappy little apps on your phone is pretty darn amazing if you ask me. I’m not a huge app geek who uses an app for every single thing but…once you’ve discovered which apps work to help you achieve the results you’re after, it’s game changing. 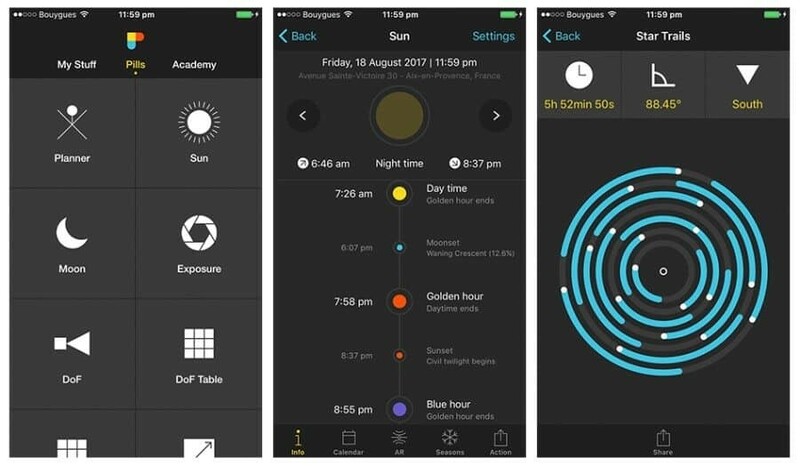 Whether you need to calculate the best settings, check if the northern lights are dancing, schedule and publish your images, there’s an app for it. Heck, there’s an app for anything and everything now but the trick is narrowing it down to those of value that will help you and your photography. So, without further ado below you’ll find a list of what I consider to be the best apps for travel photographers, if you have any other suggestions, please feel free to list them in the comments below! 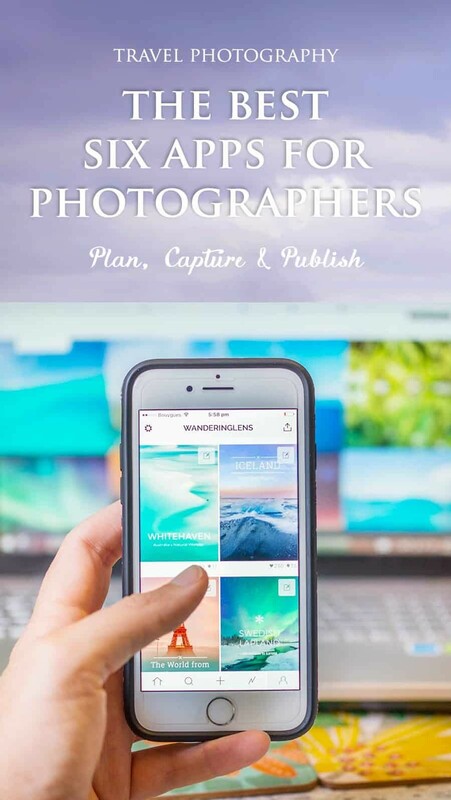 Also, because photography is all about showcasing your work, if you use any of the apps mentioned below including Steller, Spot, Instagram or ImageBrief, feel free to leave a link to your account in the comments too so we can all see your work. When you want to know where to shoot or visit based on other’s experiences, Spot is a great app to have in your kit! You can create lists of the best ‘spots’ within a city, suburb or even street providing images and info for others to view. Their slogan is ‘The best places in the world according to the friends and experts you trust’ and this is spot on. 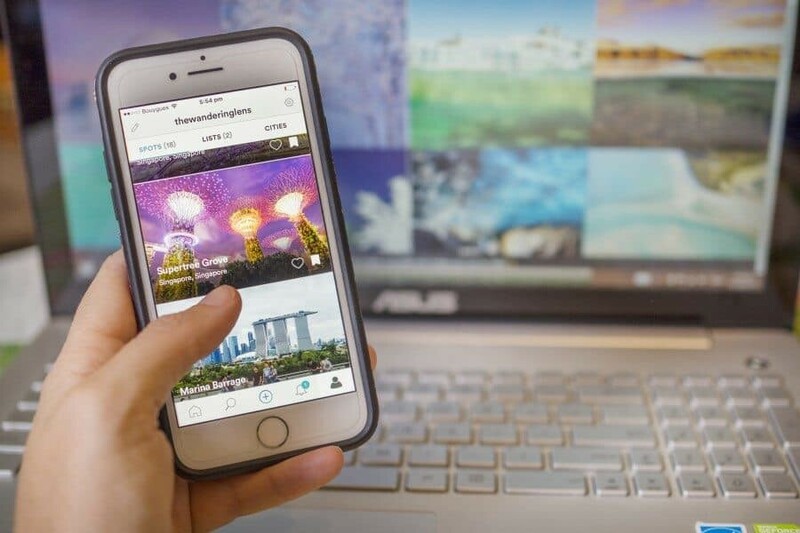 Like what I did there 😉 It’s created by every day travellers recommending places based on their own experiences, you can also add friends directly from Facebook to connect, share spots and plan adventures. One of the best features is that you can add your own tips and recommendations to other lists, in turn creating a collaborative hub of location tips. When you upload a spot you’ll automatically see recommendations of other places nearby that have been shared by other Spot users. If you’re logging in from a new location, it’ll highlight great places nearby to eat, shop or sights to see including maps showing the exact location. There’s something crazy like over 500,000 spots already on the app so chances are, you’re going to find somewhere new to explore and photograph! 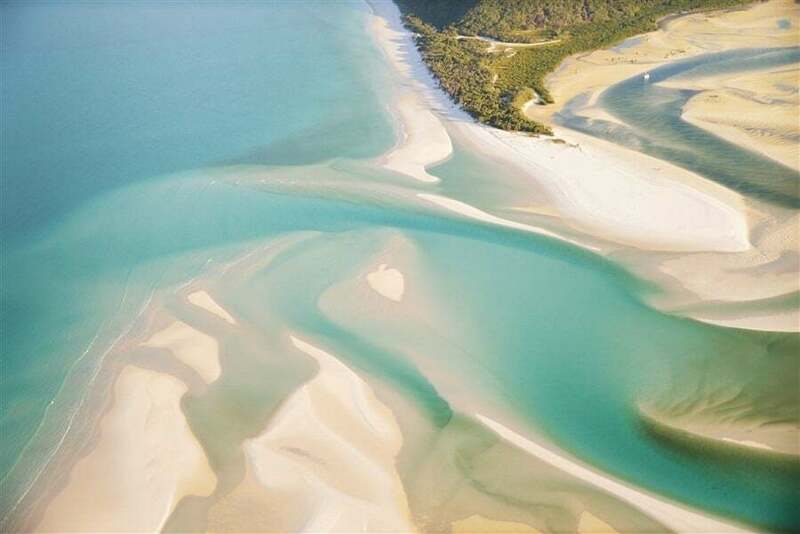 To plan trips before arriving somewhere you can use the ‘Explore’ tab to search destinations around the world to see where and what people are recommending. I know I prefer to do some research beforehand so have found this feature to be really helpful in unearthing places I never would have considered. Once you’ve got your own profile created, you can then save spots and have an easy to access wish list of locations to photograph or visit. Also soon they’ll be creating a Spot website so you can access all the info from your desktop too. You can create a Spot account by downloading the Spot app HERE. Take a peek at the screenshots below to see both my personal profile and some of the layouts of Spot. I’m not sure you’ll find an app jam packed with more photographer friendly tools than Photo Pills. 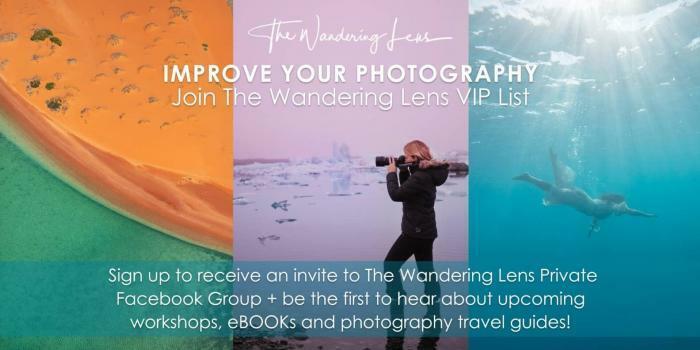 It really has everything you could ever need to plan, prepare and photograph wherever you are in the world. From Depth of Focus tables, Exposure calculators, Time lapse settings that tell you how much time, memory space and shots you require…it’s technically your best friend in the field. One of my favourites is the ‘Star Trails’ tool, mainly because you can twirl your finger around the screen and choose how intense you want the trails to be. The app will then tell you how long you need to leave your camera clicking away or you can add the time you want to shoot for and it’ll give you the angle and assumed result. Fancy, huh!? 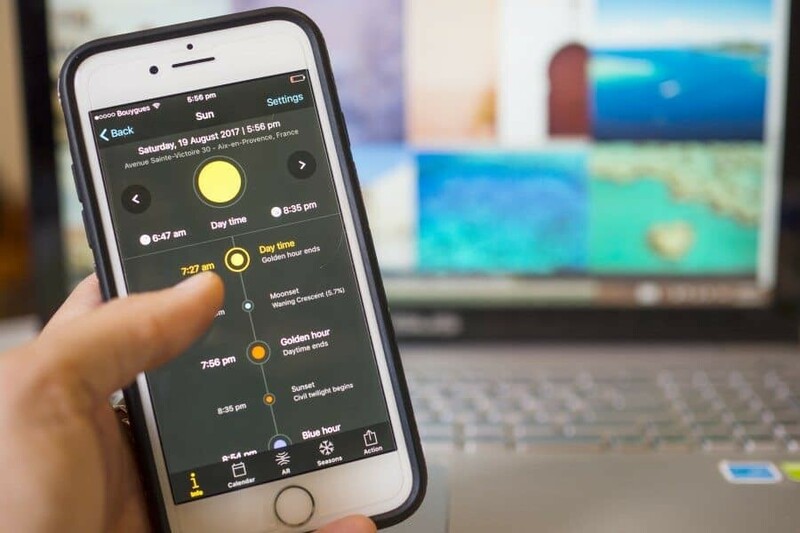 Their ‘Sun’ tool is created to make the job of finding a great direction to shoot by telling you when the blue hours are, sunrise, golden hour, astronomical twilight…it again is fancy. Not sure why I keep using that word but I really can’t think of a much better one to use. It’s fancy schmancy. 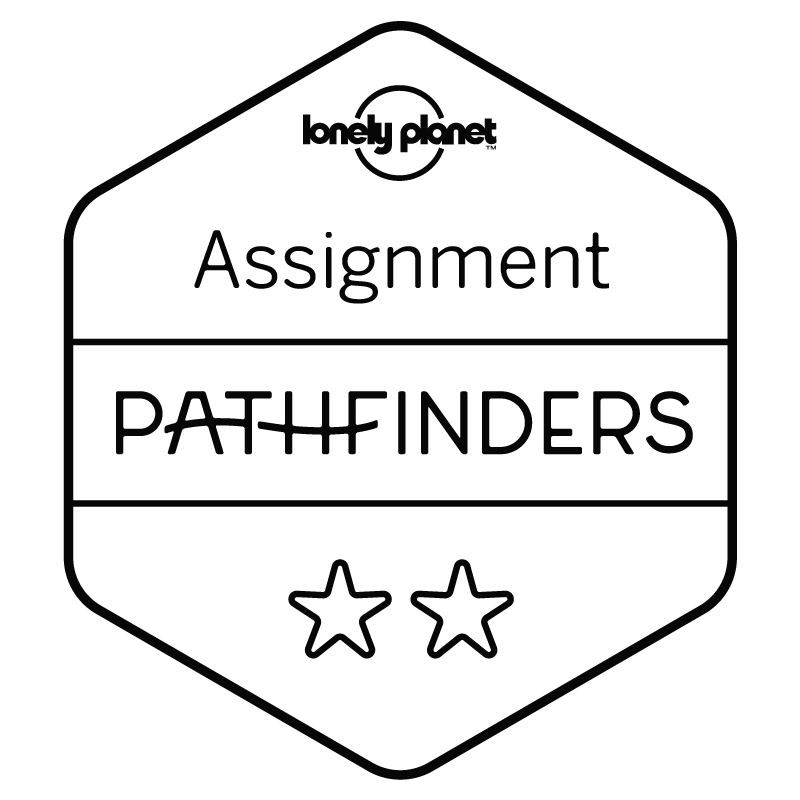 You can also use the app to upload your work and participate in awards within the Photo Pills community, plan shoots and join their academy…they also host photo tours around the world! If you’ve been reading The Wandering Lens you’re probably well aware of my love for the Steller app. 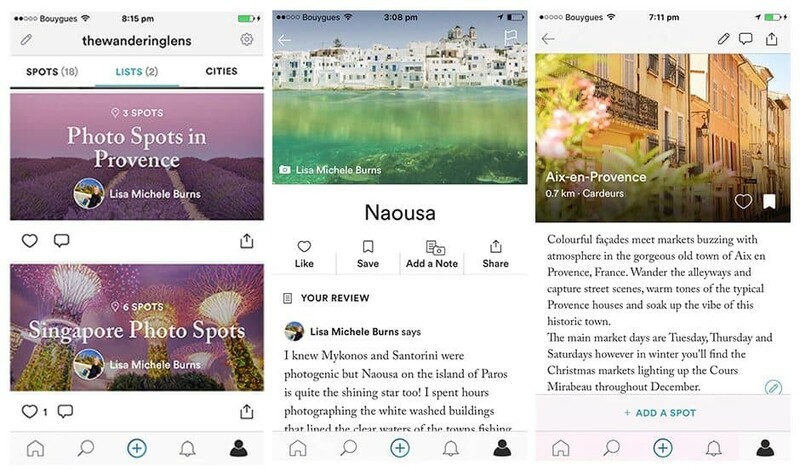 It’s an app that allows you to create mini magazines from your trips, showcasing your photography and stories at the same time. 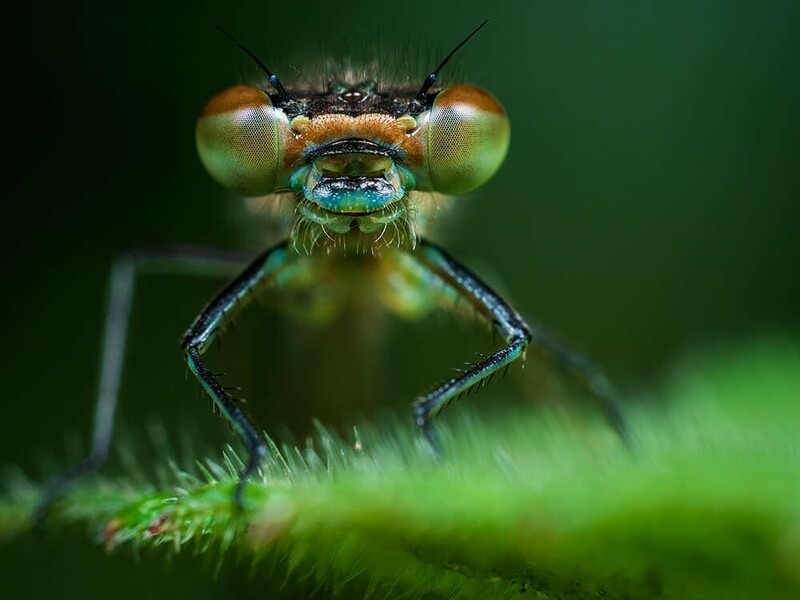 For creatives it’s a unique way to publish your work and rather than one photo at a time like Instagram, you can make a cohesive collection of images to tell a story. 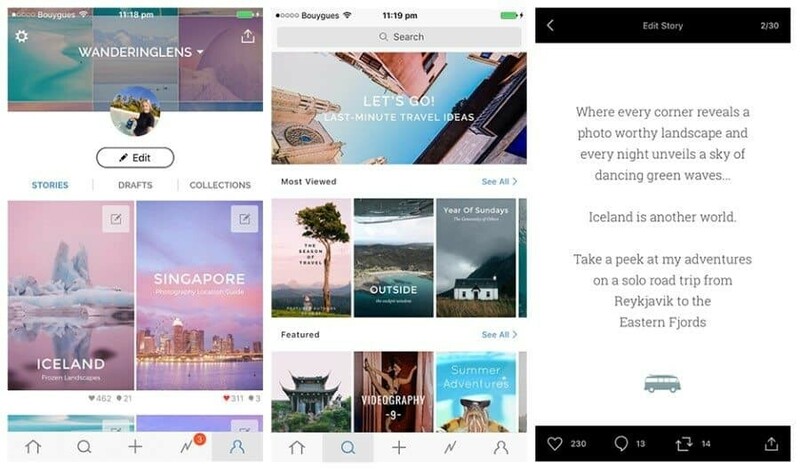 If for example you’ve just returned from Iceland, you can publish one full Steller story about the trip, or break it down into photo filled stories of each location. 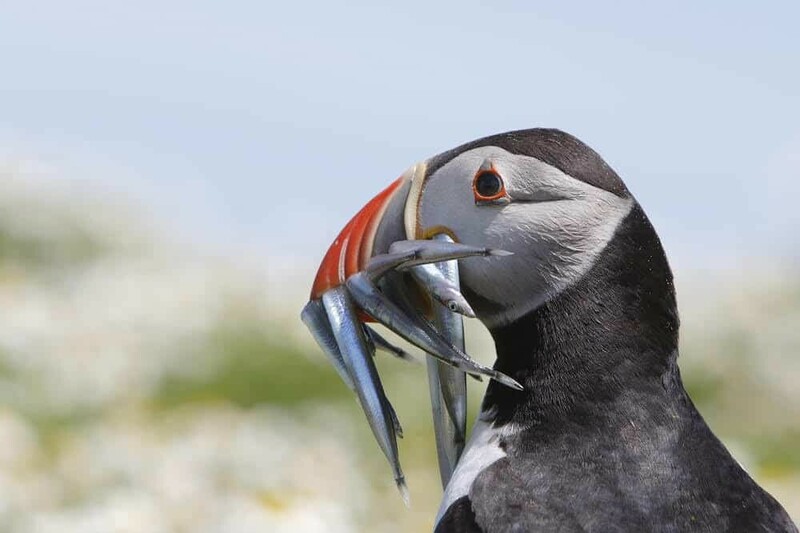 Because who really returns from Iceland with just one photo from each location!? It’s more like hundreds! There are page layouts and font styles to choose between to create a story that’s uniquely yours, plus you can decide how many pages you want as you go. What I love most about Steller is that it doesn’t feel as instant or forced as other social media apps can. People uploading stories to Steller are thinking about the process, planning how it looks and it shows in the published results. Also the community is really supportive and scrolling through stories based on topics you search will reveal so much talent you won’t know where to stop! Forget the algorithms and tricks of Instagram, Steller is still a genuine platform for sharing your images. Also the team at Steller have created a second app called ‘Article by Steller’, it gives you even more options to create and publishes multimedia articles in a scrolling format. 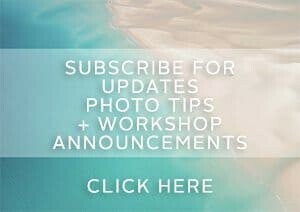 Check out Steller HERE or download the new Article by Steller HERE. 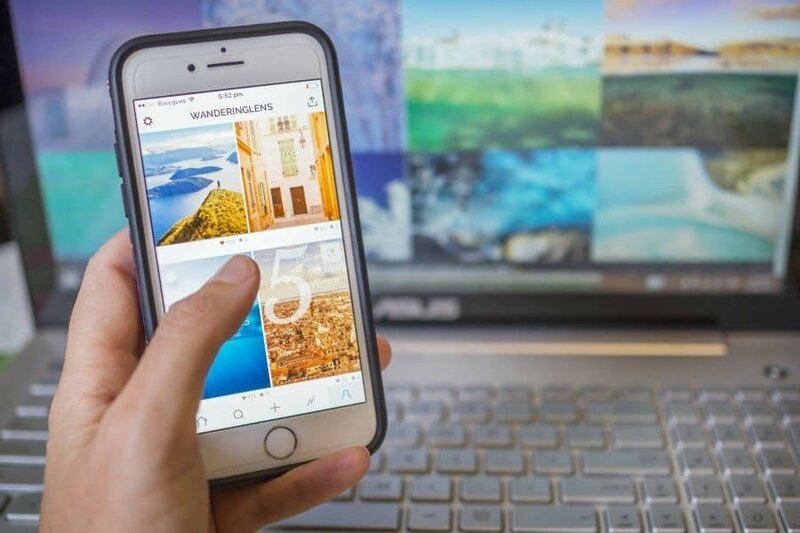 Okay so adding all three technically means this article should be called 9 apps for Travel Photographers however, you certainly don’t need all three. Pick your favourite and stick with it so you have a consistent editing style. 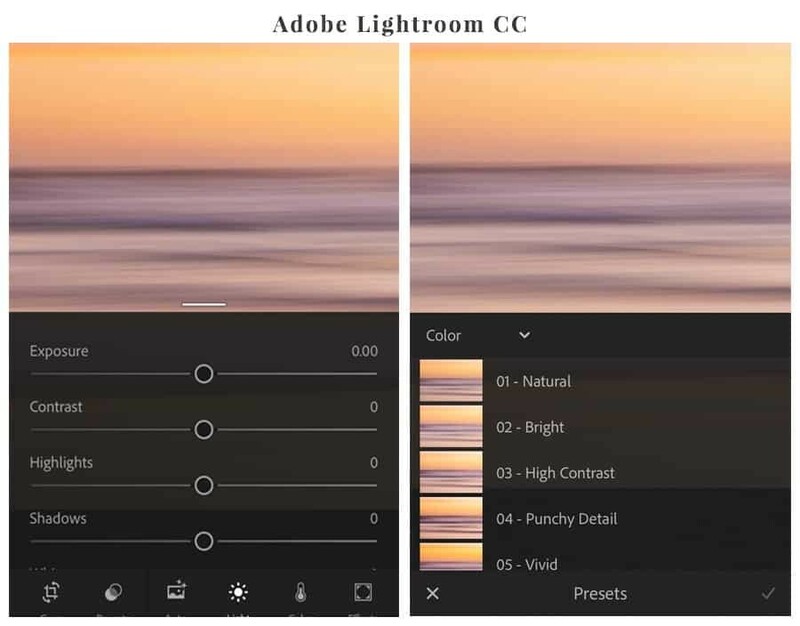 Adobe Lightroom CC and PS Express are mini versions of their parent programs and have all the tools available for you to adjust the basics. You can toggle with shadows, highlights, brightness, whites etc and also use a series of Presets to chance the colour and tone of your images. Snapseed is quite a popular app for people who don’t necessarily use Lightroom or Photoshop on their computers and just want to make their photos look as good as possible. 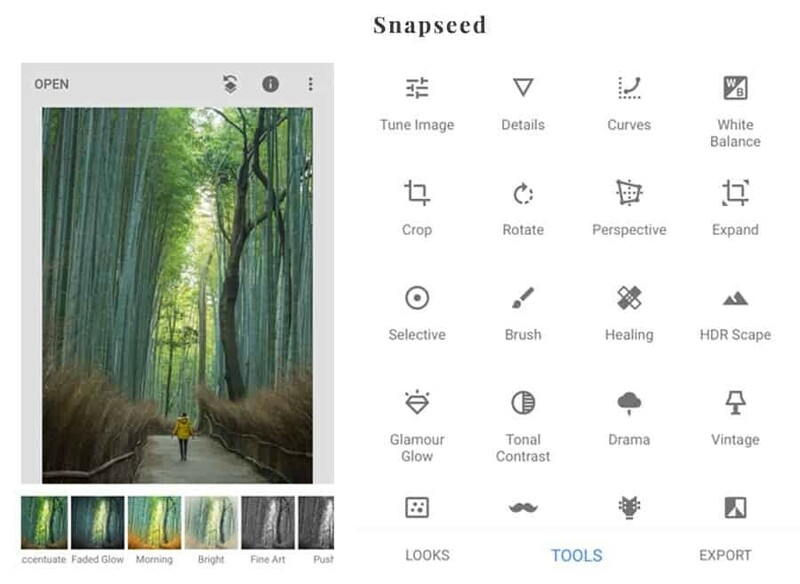 Snapseed actually has so many tools available within the app that it can really help you to create almost any look you like. My only hesitation with using Snapseed is that I find the toggle system a little hard to get used to. A big positive is that it’s got helpful tutorials accessible via it’s menu. It’s really personal preference as to which editing app you prefer but having one on your phone definitely makes life easier as a travel photographer. Sometimes when you want to upload an image quickly to social media but are at the airport, or can’t get your laptop out, a quick phone edit works wonders. 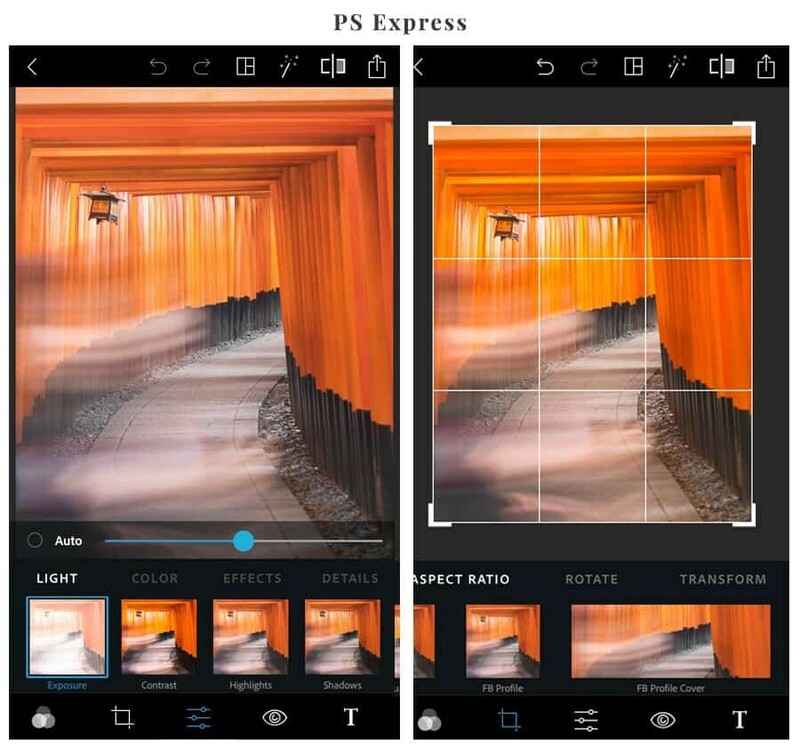 Take a peek at some screenshots below to see the layouts and design of each editing app. Ever wondered how some photographers have those perfectly styled Instagram accounts? Where all the images line up beautifully and it’s more like scrolling through either a rainbow of colour or a muted splendour of all things minimal? Well they might just be using Later. 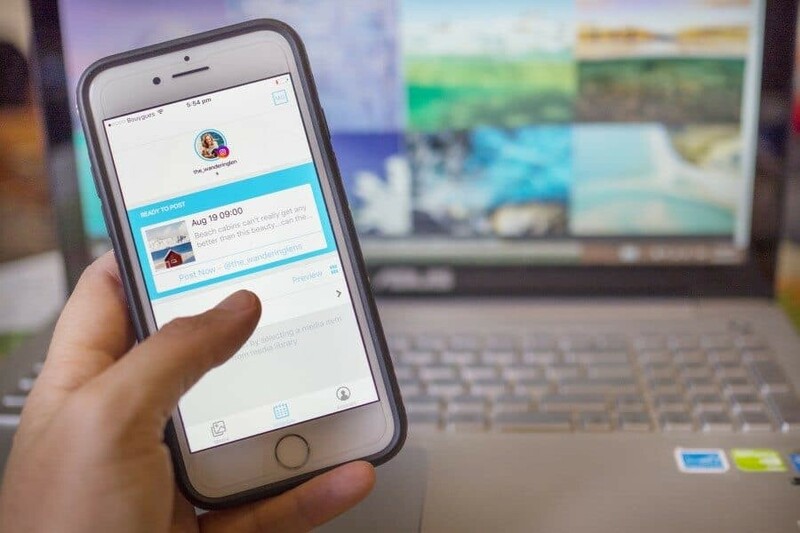 Later is an app that allows you to schedule your social media posts and plan in advance which images to post and when. Now it doesn’t break any rules and you can’t post directly from the Later app, however, it will notify you when your schedule post is ready and you can then click ‘post’ and it will copy all the details across to the Instagram app and away you go from there. The layout of the Later app allows you to see the images together and how they would look as a cohesive account, plus it gives you insights into how your accounts are performing. 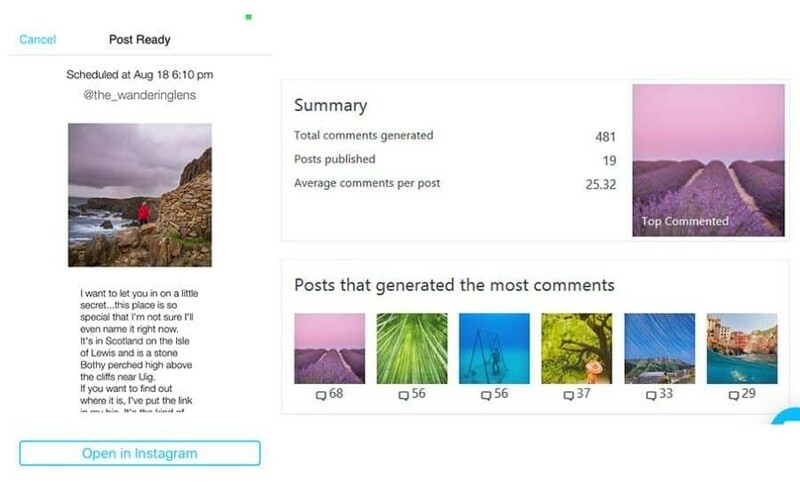 You can track which images perform the best with engagement via comments, likes and also see graphs on how they stack up against each other. Having these insights are so important to tracking your growth across social media, especially if you’re growing them organically (if you’re scamming, please feel free to exit my website, thanks). There are of course so many scams and tricks happening right now that it’s hard to know who is genuine and who isn’t, all you can really do is look after your own account and produce high quality work. Apps like Later make it nice and simple to use statistics in order to proactively choose when to publish content and what content receives more engagement with your audience. 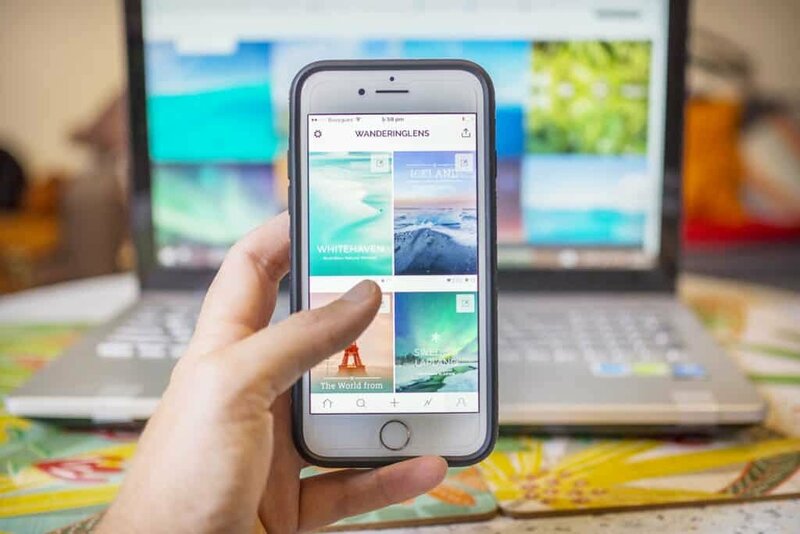 The first plan is free for users and links through to your Instagram account, if you want to opt to add other platforms like Twitter, Pinterest and Facebook, you’ll need to sign up to a premium account to do so. Download the Later app HERE. Best For: Photographing the aurora! So if there’s one thing most photographers dream of shooting it’s the aurora, am I right!? Those dancing green waves that appear across the sky in the darker months, glowing like brilliant strips of magic. You can of course head north (or south for the Aurora Australis) to places like Iceland, Scandinavia or Greenland to capture them and hope for the best but…there’s also an app for that. 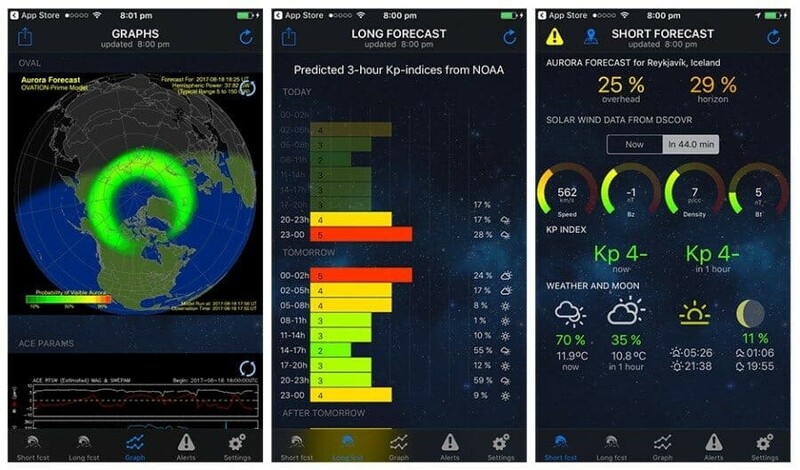 Aurora Alerts (called Aurora Australis Forecast & Southern Lights Alerts in the App Store) is an app that will allow you to get at least a little sleep during the aurora season. If you’re on the hunt for aurora, trust me in the fact that you probably won’t sleep much. Finding them becomes an addition and you know that at any moment when the skies are clear, the aurora could be dancing above you…it’s just a matter of patience and luck. This app gives you a little relief in the patience department. With Aurora Alerts you can input your location and it will tell you a short and long term forecast for aurora. There’s also forecasts showing the possibility and strength of the aurora both overhead and on the horizon. If the ‘overhead’ rating is anything about 24%…it’s worth running outside to check what’s happening because sometimes the app can be a little harsh on its judgement of what’s impressive and what’s not. You’ll find more details about apps like this in my post ‘Weather Forecasting for Landscape Photographers’, in the meantime though download Aurora Alerts HERE, even if you’re not going anywhere, it’s fun to see where it’s happening and how strong it is…or maybe I’m just a weather nerd. 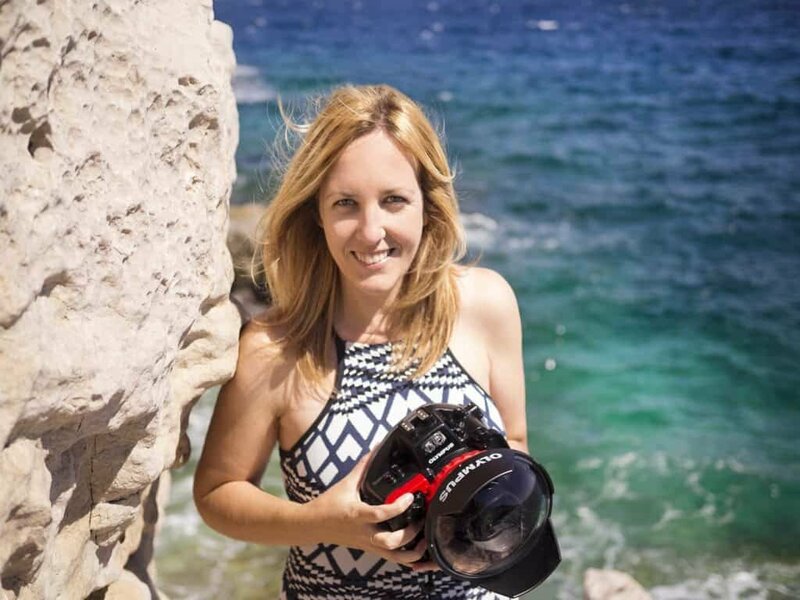 So, that’s my pick of the six best apps for travel photographers! What do you think? Do you have any to add? If so, I’d love to hear about them in the comments below. Great app list and I’ll have to check them out! There’s always space for puppy photos on your phone! Thanks for sharing Sky Guide, that’s the one where you can point it at the sky and see stars and their names? So cool! Your article about weather apps was really helpful so it’s great to now be able to see other ones for sharing photos. Great to hear Tony! 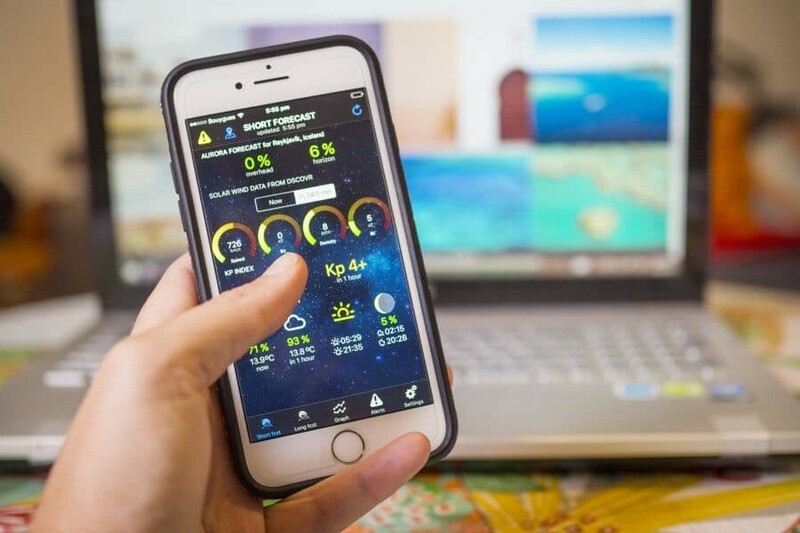 Do you have any weather or photo apps you use regularly? There’s so many to choose from so it’s always nice to hear what other people recommend too! I tried Spot and found it really handy for finding great cafes and sights. Interesting you use it for photo locations, really cool idea. Wow!!!!! Wonderful Suggestions for travelers is given in the blog.Very interesting to read,great helpful post. THIS IS AMAZING!!!! Stellar sounds like such a fun app for those of us who can’t stand the insta-fake and prefer telling stories. Is it a pretty active network. And Image Brief? Heck yeah! I need to sign myself up to start selling some. I love that you can start small scale! I mostly just use IG (@thefamilyvoyage) at the moment, but I vastly prefer sharing images on my actual website. This article is so great and so helpful! I usually just happen upon good locations for shooting (as I’m sure you do as well! ), however, I’m planning a trip to Europe in the spring and I think that location finding app is going to be super helpful for finding cool vantage points in cities like Rome and Athens. Thanks lovely! Looking forward to reading more of your articles.